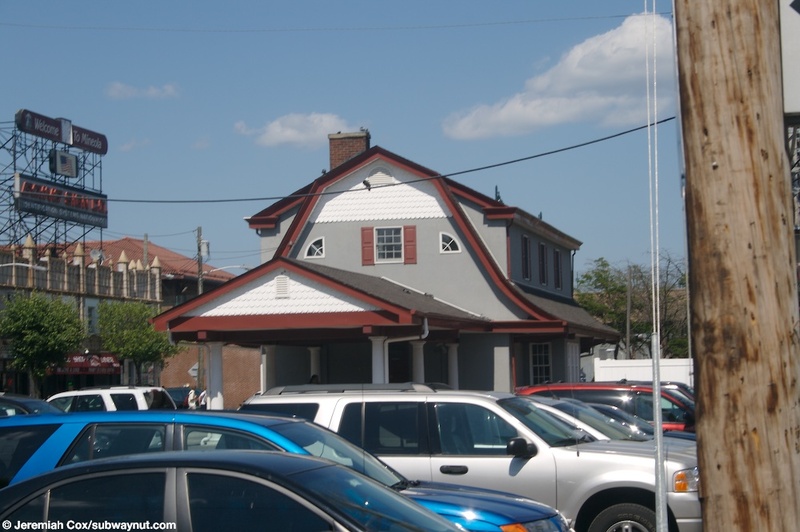 The Mineola train station is a grade-level busy station whose design is a railfan's dream with quite frequent service stopping at the station at least every half-hour and generally much better. There are just two platforms for the two track line at this major junction. 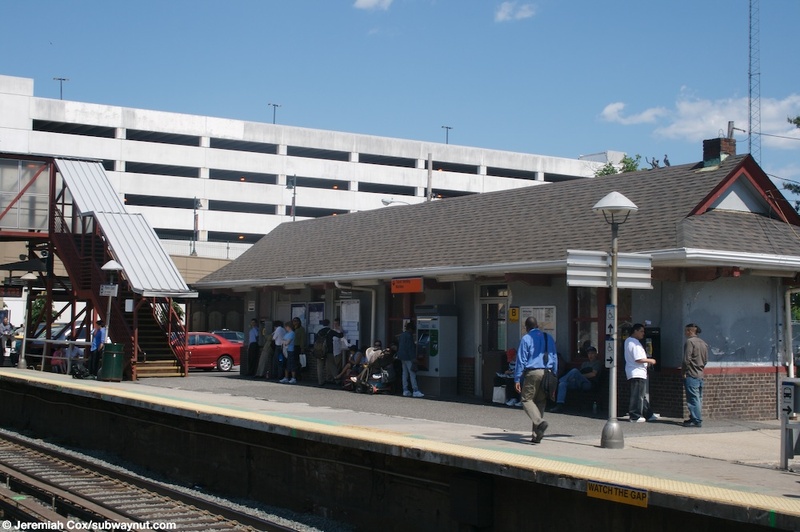 The station is served frequently by three branches, the Oyster Bay, Port Jefferson, and Ronkonkoma. 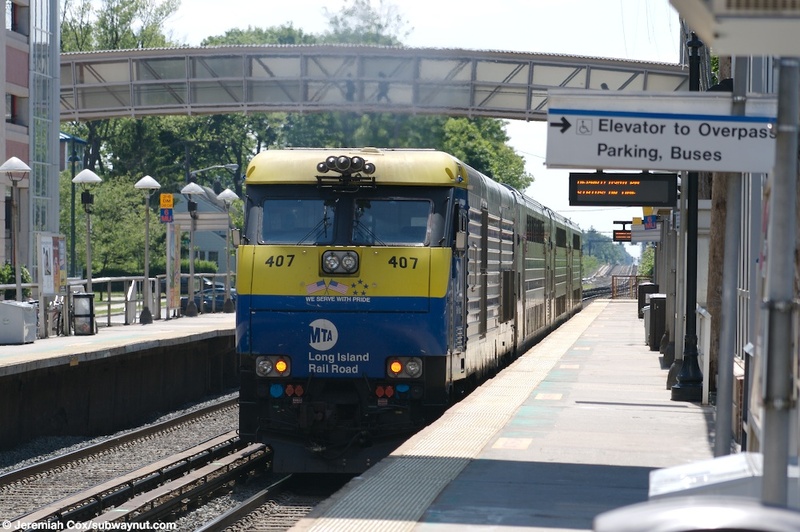 It's base service is two trains an hour on the Port Jefferson Branch with its electric trains out to Huntington, plus the diesel from Jamaica to Oyster Bay that runs every two hours or better and always stops at the station. 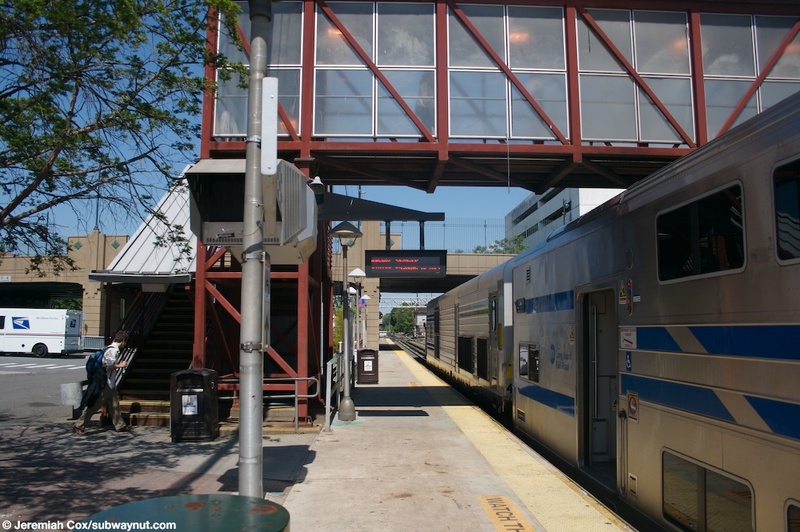 The Ronkonkoma branch passes through the station but often bypasses it, requiring inter-island passengers to change at Hicksville for it. 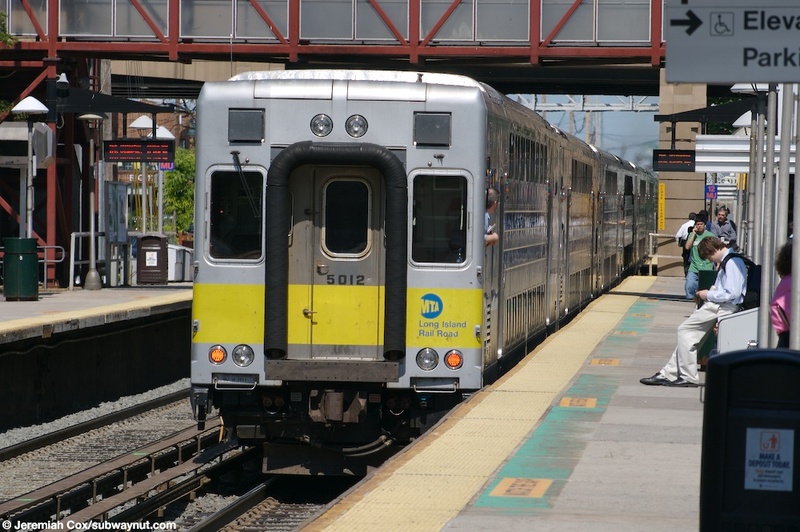 There is also very limited, (one AM Peak in-bound and two PM peak outbound) Montaulk Branch trains that stop at the station and run via the non-electrified Main Line connection between Babylon and Bethpage. From 1910 ('Felix Reifschneider's 1925 History of the Long Island Rail Road' on the Third Rail, page 30 Link.) all the way until October 19, 1970 when the line using a Federal Grant was electrified from Mineola out to Huntington (Werner Bamberger, 'Change at Jamaica is Only a Memory for Some', The New York Times, October 20, 1970, Link) Mineola was the terminus of electrification. 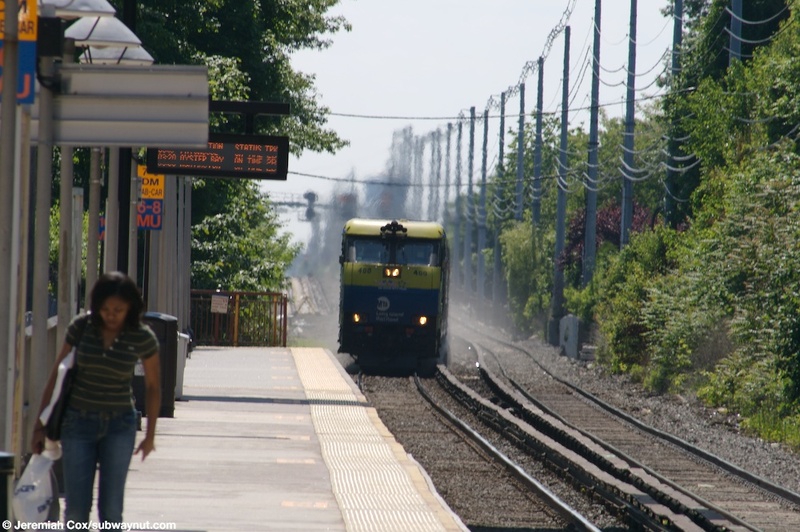 The best place to begin the tour is at the grade crossing of Main Street which is right where the Oyster Bay branch curves off of the Main Line. 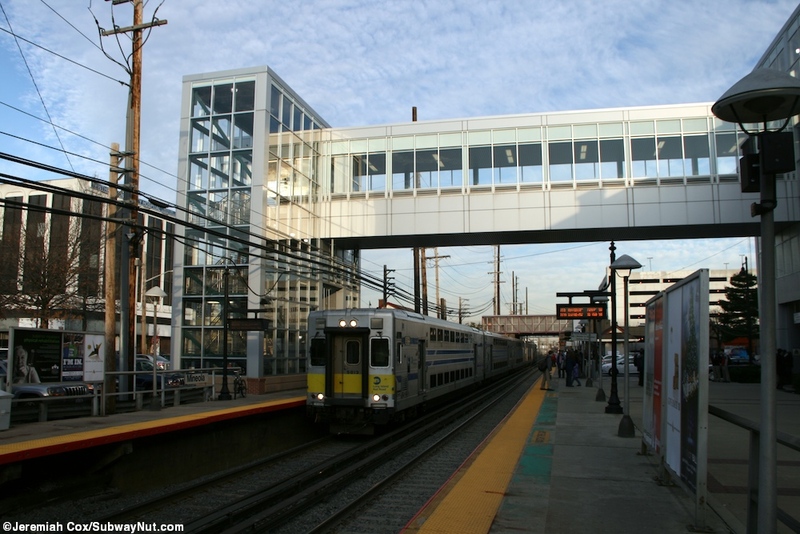 Then is Nassau Tower that controls the crossing followed by a pedestrian crossing that connects both platforms a short ways east of their location and was critical for providing the only ADA step free access between them until the Mineola Intermodal Center was completed and dedicated in 2006. Next the platforms finally begin just before the overpass of Mineola Blvd, this is a concrete overpass of a busy road and has a large concrete support directly on the eastbound platform, splitting it into two tactile warning strip sections. Next is a simple red footbridge with only staircase access and this is followed by two different depot station houses. The Westbound platform has the larger one. It is a two story building painted grey with red trim and exposed bricks at lower heights. There is also a canopy protruding from it, held up by some white columns. Inside is a waiting area often crowded with benches open from 4:40am to 10pm weekdays and 6am to 2pm weekends with a ticket office open for one shift from 5:45am to 1:15pm. The Eastbound platform has a similar type of building with just a single story and no canopy extending from it with another smaller station house with some benches inside for waiting passengers. 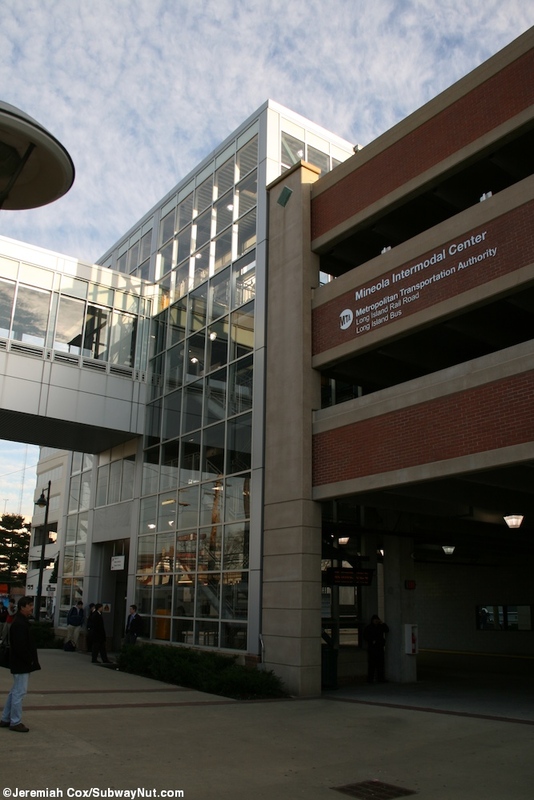 Next along the eastbound platform is the Mineola Intermodal Center, a modern 4 story parking garage that opened in 2006. 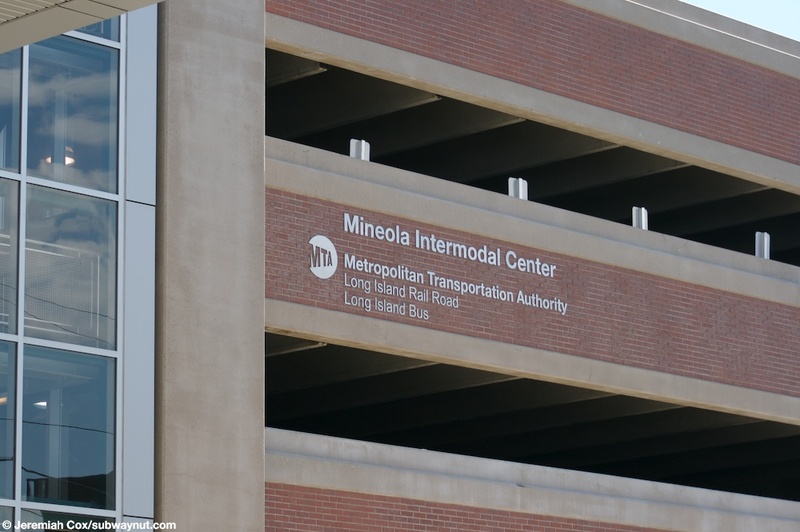 The bottom level of this facility are bus stops in a bus loop for 7 Nassau Inter-County Express bus routes. There are digital signs that rely only on scheduled information and list the upcoming departure times and bays for the next buses. There is a connection via the 2nd story of the parking garage to a modern glass overpass bridge to an elevator and staircase structure down to the westbound platform. 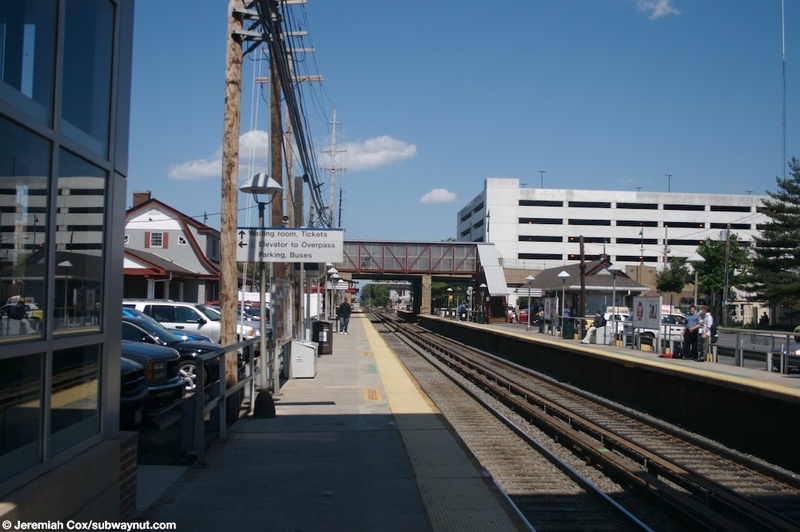 Towards the extreme western ends of the platforms is another pedestrian overpass not designed for LIRR customers but to connect to different units and parking areas of Winthrop University Hospital. 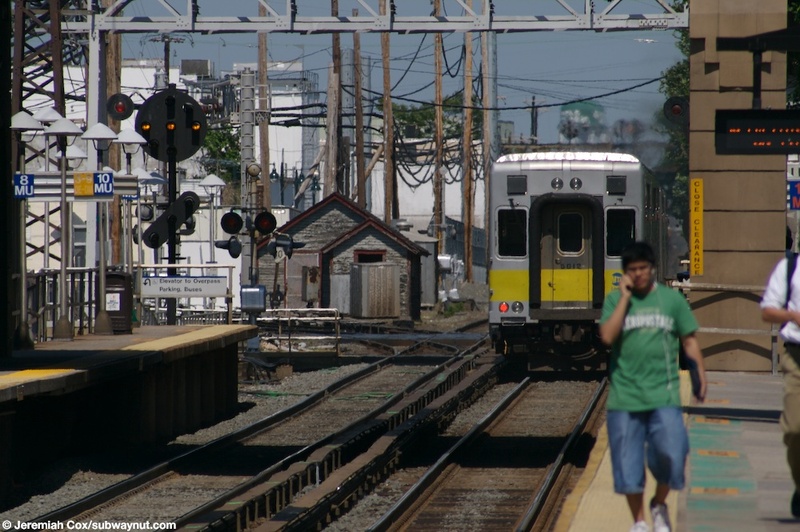 Looking down the New York-bound platform at Mineola as a train of C3s coming from the Oyster Bay Branch stops at the station bound for Jamaica. 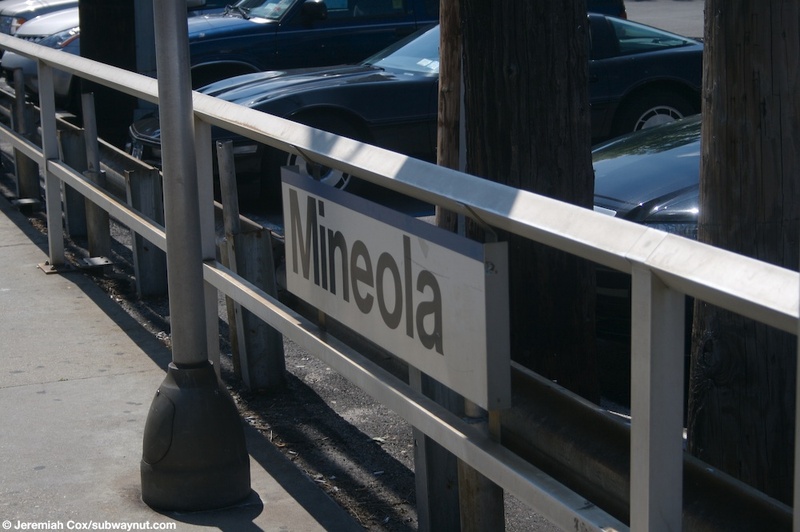 A platform sign at Mineola. 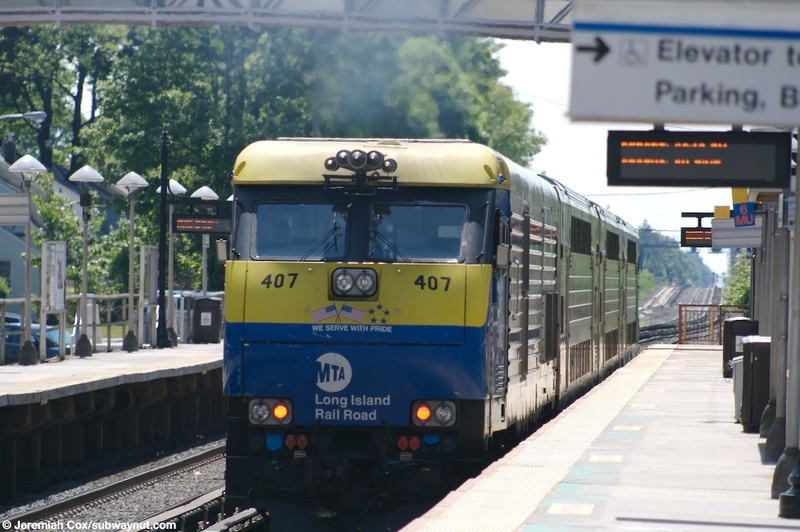 EMD GE30-AC Locomotive #407 pushes a Oyster Bay Branch train westbound out of Mineola. 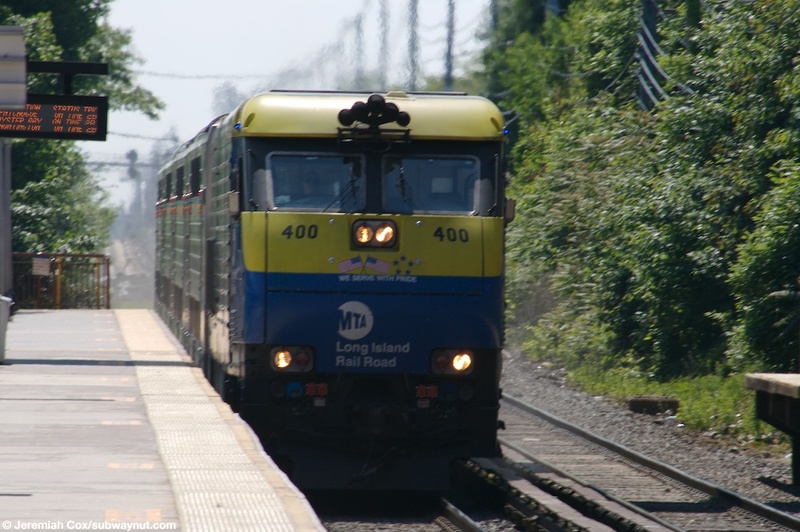 EMD GE30-AC Locomotive #407 continues to push a Oyster Bay Branch train westbound out of Mineola. 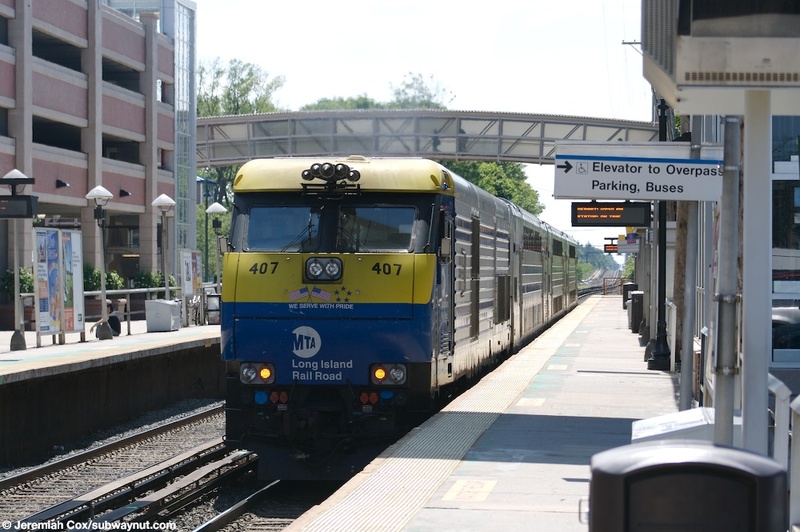 EMD GE30-AC Locomotive #407 continues to push a three C3 car train Oyster Bay Branch train westbound out of Mineola. 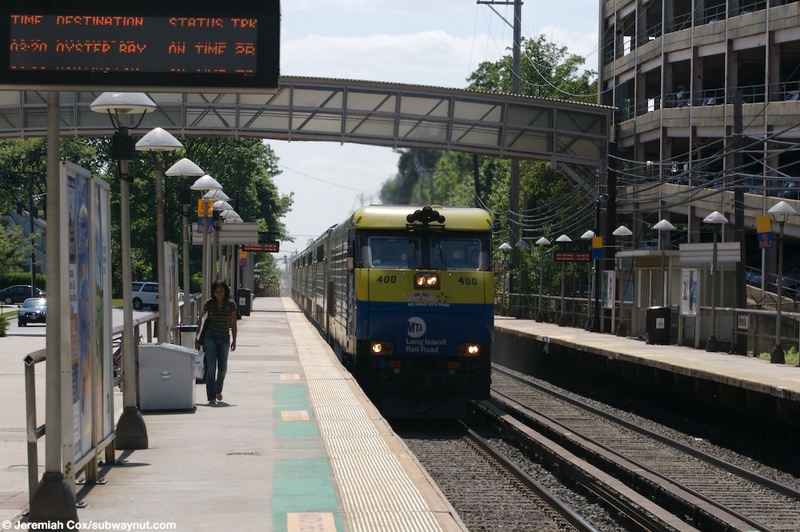 EMD GE30-AC Locomotive #407 continues to push a three C3 car train Oyster Bay Branch train as it picks up speed out of Mineola for a final express run to Jamaica. 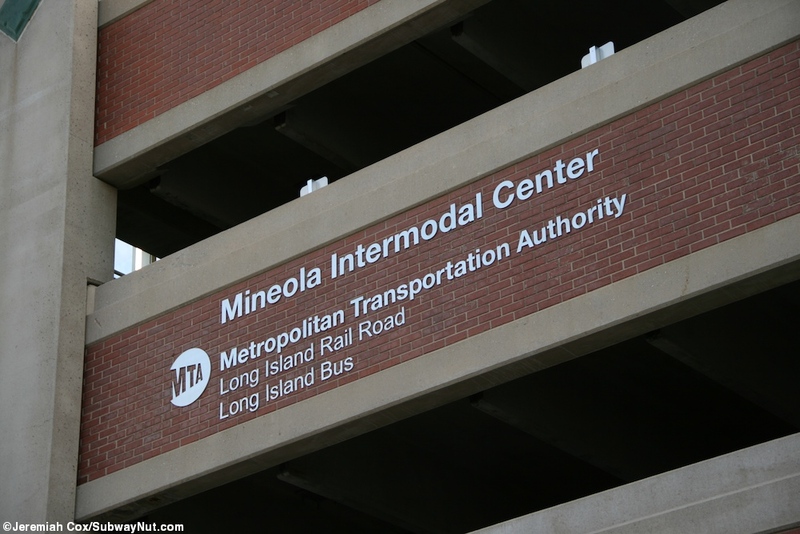 A sign for the Mineola Intermodal Transportation Center on a side of the parking garage there. Looking down the New York-bound platform at the two tracked Mineola Station. 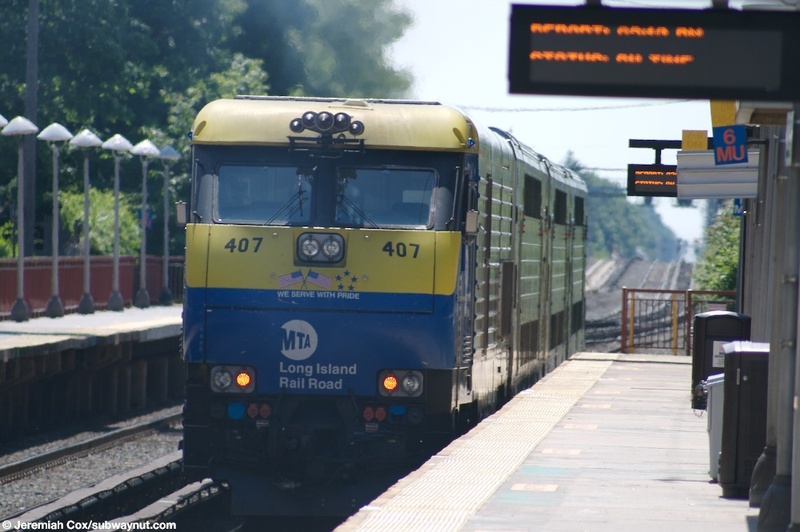 EMD GE30-AC Locomotive #400 and a Montalk Branch train enter Mineola. EMD GE30-AC Locomotive #400 continues to enter Mineola with the next stop of Babyloy. 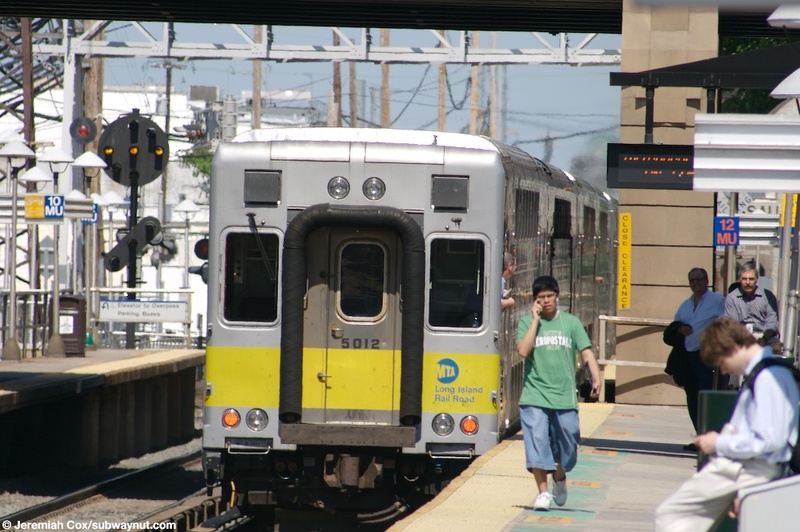 C3 Cab Car #5012 is the last car of a Montalk Branch train leaving Mineola. 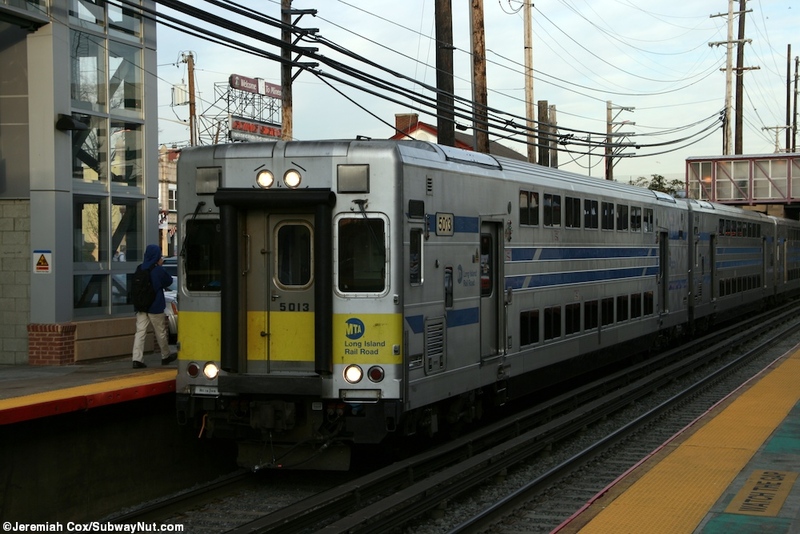 C3 Cab Car #5012 is the last car of a Montalk Branch train that continues to leave Mineola. C3 Cab Car #5012 has left Mineola. C3 Cab Car #5012 vanishes into the distance from Mineola.